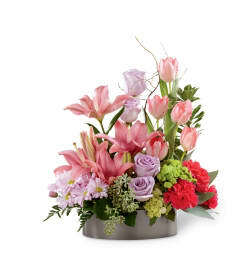 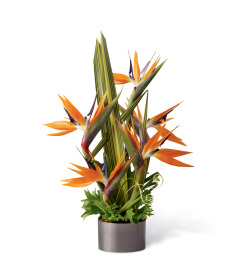 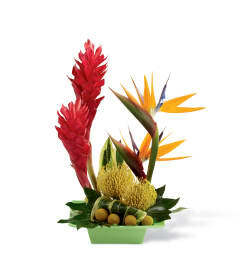 The FTD® Solemnity™ Arrangement is the perfect accent piece for the ceremony or reception. 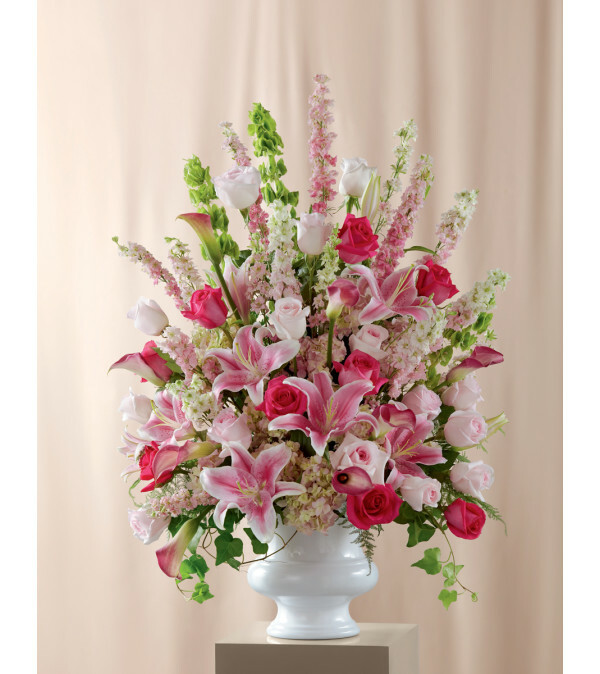 Hot pink roses pop against a backdrop of pink roses, larkspur, mini calla lilies, delphinium, hydrangea, and Oriental Lilies accented with Bells of Ireland and an assortment of fresh, lush greens. 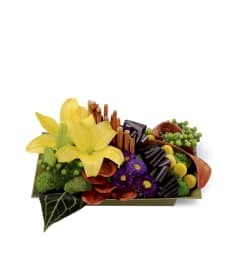 Perfectly arranged in a white plastic urn, this presentation will fill the space your exchange your vows or celebrate with the colors and sweetness of true love.